Chlorella Pyrenoidosa contains the broadest array of nutrients of any strain of chlorella. Chlorella are microscopic plants that grow in fresh water. Nutritionally dense, chlorella contains vitamins, minerals, trace minerals, essential fatty acids, chlorophyl, a vast array of phytonutrients, and is high in digestible protein. These small tablets are easy to take with water, smoothies, or juices. 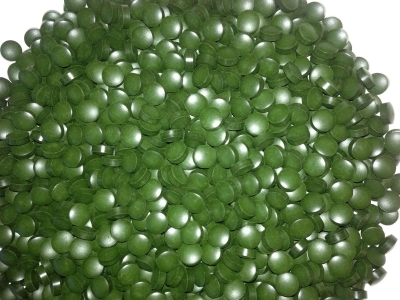 Our Chlorella tablets are made from pure chlorella grown organically in Taiwan, over 1300 miles from Japan (Fukushima!). Also, they are lab tested for radiation, bacteria and heavy metals twice, once before they are shipped, and again once they arrive here in the USA. 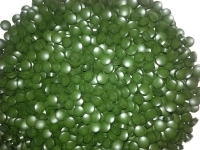 - Cleanest chlorella available anywhere.